​Making a lasting impact on the future of our waters. Tip of the Mitt Watershed Council’s youth education programs provide amazing hands-on learning experiences for students of all ages and allow them to become valued partners addressing important watershed stewardship issues. 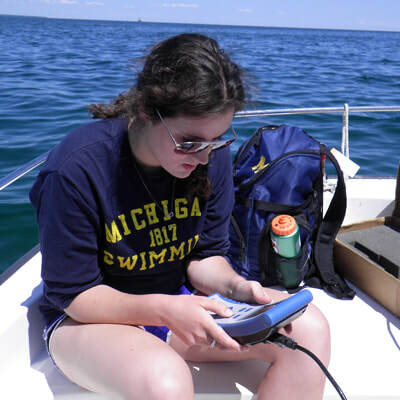 Through their participation, students gain a better understanding of the social, economic, and environmental importance of Northern Michigan’s water resources. As a result, youth within Antrim, Charlevoix, Emmet, and Cheboygan Counties are not only engaging in the protection of their water resources, but they are changing attitudes throughout their communities. To learn more about how you can support our youth education programs, call (231) 347-1181 or email Gail Gruenwald. The Watershed Council’s internship program is one way we are investing in the future workforce to ensure that we continue to fulfill our mission. Each year, the Watershed Council enrolls a number of college-aged students to assist in policy and advocacy, watershed protection and monitoring, and restoration projects. The program provides students an opportunity to gain work experience, network with professionals in their field of study, gain valuable insight into the complexity of water resource protection, and add to their tool box of skills and knowledge. Many of our interns have gone on to be leaders in their profession. 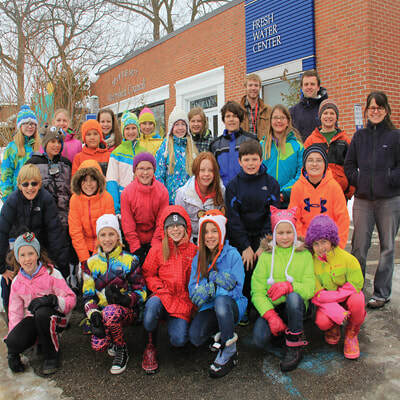 In 2015, Tip of the Mitt Watershed Council created the Watershed Academy. This program engages high school science students and provides them an opportunity to become experts in their local watershed. The initial program included five schools. In just three years, it has grown to 13 high schools. The Watershed Academy has already proven to be a great opportunity for high school students to learn about their local watershed and assume leadership roles in their community through volunteering time, knowledge, and skills. The program has also inspired students in choosing a career path as they prepare to attend college. 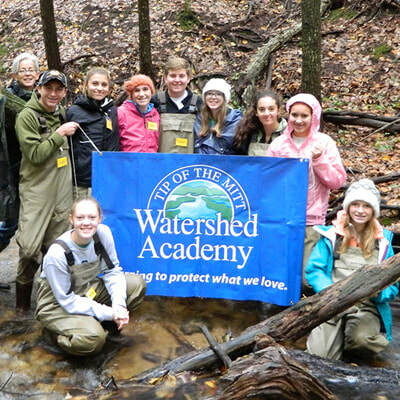 Learn more about the Watershed Academy. The Water Resources Education Program (WREP) is a pilot program engaging middle school students in foundation-laying watershed experiences that enhance local curriculum, increase water resources literacy, and foster a stewardship ethic in a team structure. The program focuses on the specific watershed their school is in, what impacts they have on that watershed, and ways they can actively improve or protect it. Students from Petoskey, Boyne City, Wolverine, and Ellsworth middle schools participate in the program. If you would like to bring the WREP program to your middle school, contact Eli Baker at 231-347-1181. 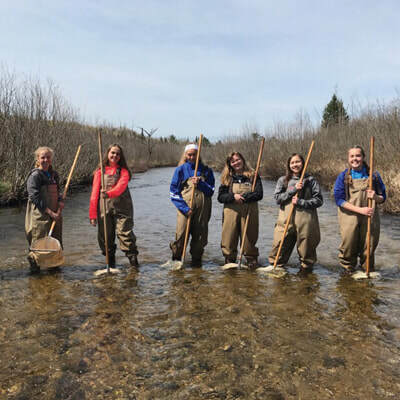 For over 20 years, Tip of the Mitt Watershed Council and Lake Charlevoix Association have partnered to bring a unique learning opportunity to the students within the Lake Charlevoix Watershed. 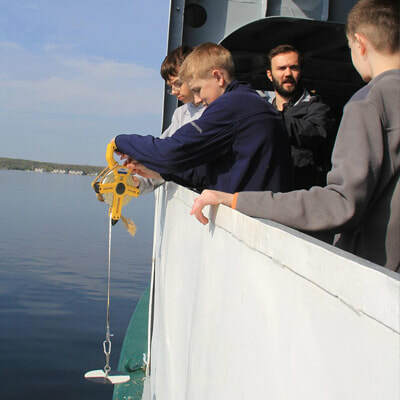 Each year, approximately 300 area sixth and seventh graders board the Beaver Island Ferry and spend a half day participating in experiments relating to water quality, watershed protection, invasive species, water safety, and more. The goal of the program is to educate students about how everyday activities impact the Lake and the surrounding Watershed. Field Trips - Each year a number of school groups visit the Watershed Council’s Freshwater Center to learn about the watershed they live in and what they can do to protect water resources. 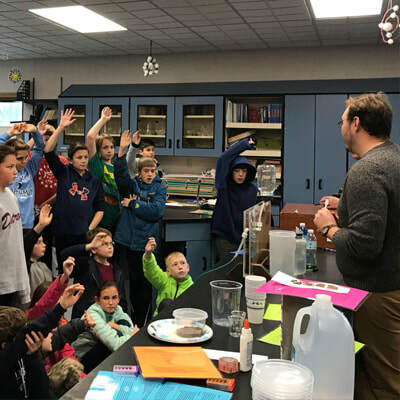 Career Fairs - Our staff is regularly invited to attend middle school, high school, and college career fairs and workshops throughout the area to share and inspire young people to consider a career in water resource protection and advocacy. 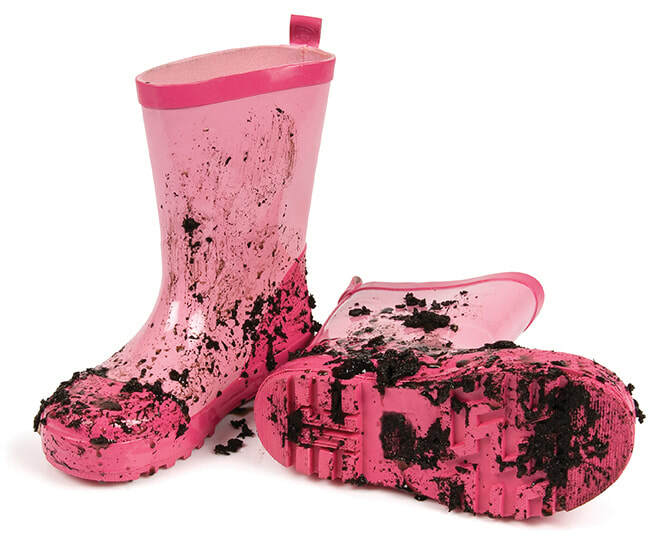 Family Friendly Events - A majority of our annual events are family friendly. The Bay Day Water Festival in Petoskey offers a number of hands-on environmental education opportunities for families to explore together. The Bear River Cleanup enables families to work side-by-side to gain an appreciation for our rivers and streams and encourage good stewardship.